I've decided I sort of need crafting like I need running and writing...I need it to survive. Yeah, that's right I just said if I can't craft I will die. It might be a slight exaggeration. I mean, I'd live if I couldn't ModPodge or write in my journal or run a couple miles. I think. But I am happier and better when I get it all out of my head and my heart and my mind. So the other night when I felt a little overwhelmed with issues and problems and worries that I have absolutely no control over whatsoever, I searched for a craft I could make while watching heartwarming Christmas specials with my kids. I was inspired by something I pinned and got to work. 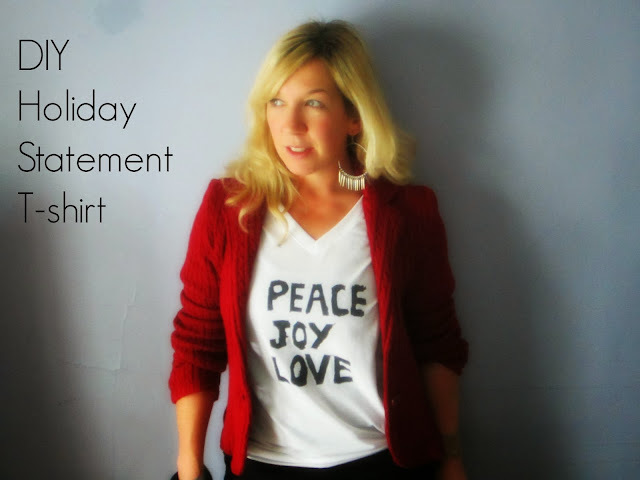 For this week's Pinterest Poser Challenge,* I made a DIY Holiday Statement Shirt. 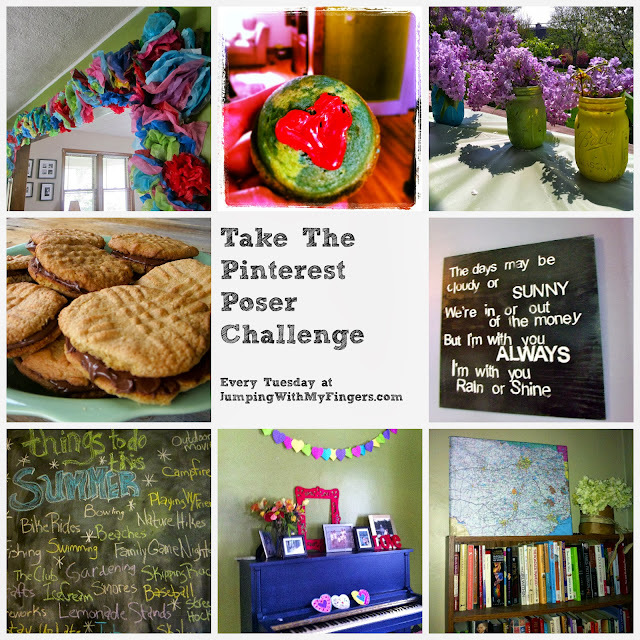 *In an attempt at not being a Pinterest Poser,** every Tuesday-ish I detail a new Pinterest challenge whether it be a new recipe or a craft. Part of the fun of this project was to figure out what kind of holiday statement I wanted to make. I decided I wanted to go with a message that actually transcends Christmas. A message of calmness that I need year round, but especially at Christmas. While the kids and I watched The Polar Express, I cut and painted. Scissors, paint brush from my kitchen drawer. I wrote the words on the contact paper and then cut them out. I let the paint dry. Then I threw on a red sweater/jacket and wore my kickass Christmas statement T-shirt to church the next morning. Spreading Peace, Love and Joy everywhere I went. I plan to dress it up with a sequins jacket for an upcoming holiday party. It's not a perfect project. And yes, I probably would have lived without making it. But making a shirt about peace, love and joy brought me peace, love and joy. And it was fun, easy and cheap. 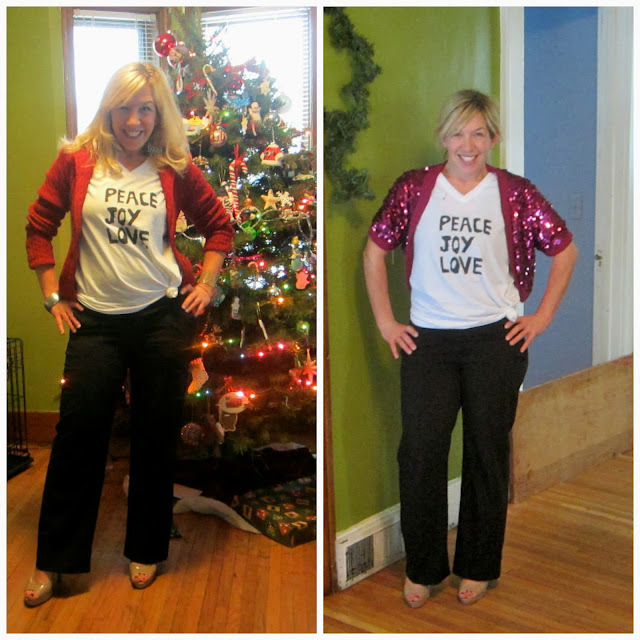 In a season of Christmas sweaters and similar holiday dresses/shirts/outfits from Old Navy or Ann Taylor or wherever ladies shop nowadays, I like standing out in my imperfect holiday statement shirt. Have you made anything on Pinterest lately? Any holiday projects? Any statements you've made? Share what worked and what didn't, leave a comment here or on my Facebook page.Come on over and follow my Pinterest boards too. I love this T-shirt! I agree that crafting alleviates stress, especially of the holiday variety. 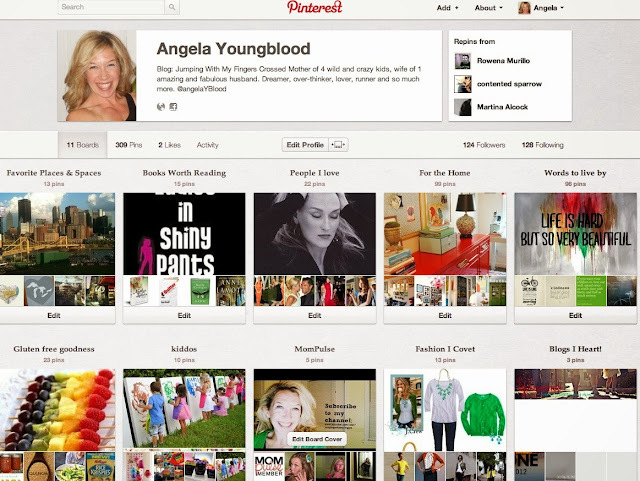 I have not done a new Pinterest project in awhile, but I'm hoping to do it with some Christmas wrapping this weekend! You could sell this tee, it's adorable!